My nails were getting too long and annoying so I decided I need a change. They're now much shorter. Essie Clambake is part of the core collection. 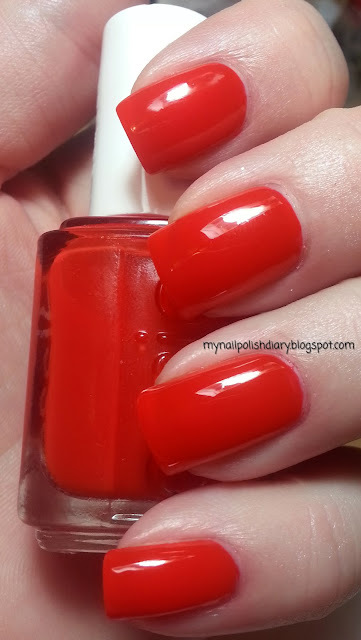 It's a red coral jelly that is so pretty I die. I love, love, love jellies! So squishy and shiny. A little sheer of course so I needed three coats, but who cares when this is the result? A coat of SV helped it dry fast and the result is sheer perfection. 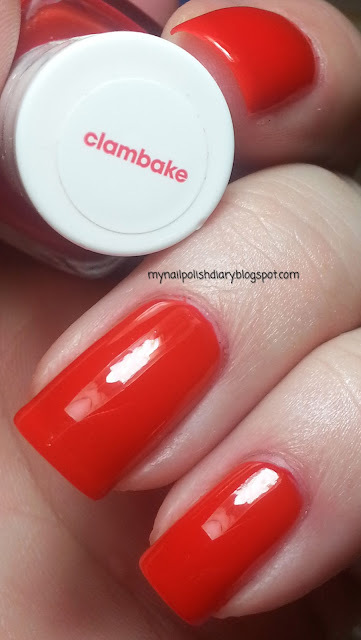 Love Clambake - next to Essie Geranium which works way great on my skin tone - Clambake is an Essie red/warm I reach for the most. I find myself reaching for it for my toes as soon as it starts getting warm out. Thanks for looking!